I am of two minds. On the one hand, the idea of going away from the farm for the weekend, especially to a Christian Convention with over 5,000 of my dear brothers and sisters from the New England area is exciting, soothing, and just plain wonderful. No stalls to muck, no llamas to tame, nothing to build. On the other hand, we will be away. And, though we have a capable friend caring for our homestead in our absence, we will be... away. 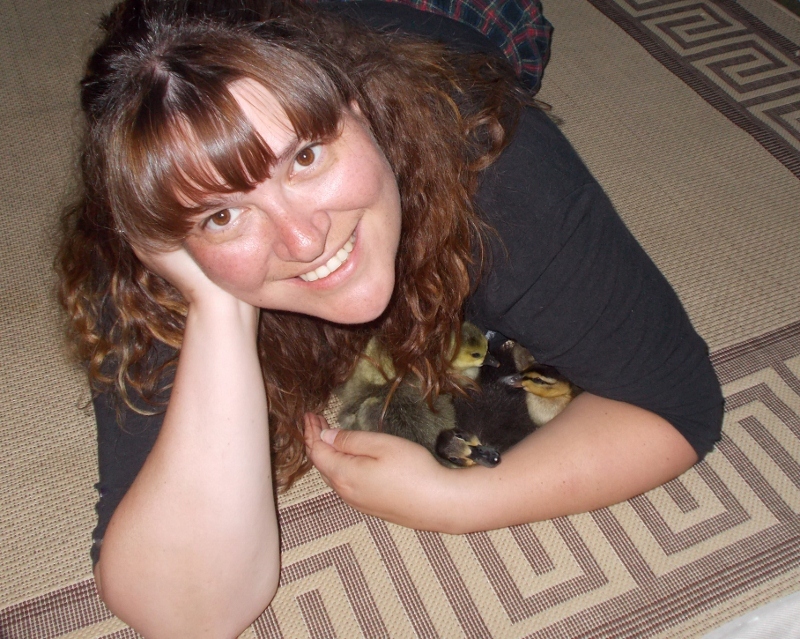 No pigs to love, no goats to greet us, no goslings snuggled in my shirt. And, I am completely sure that in the 60 hours of our being away, all the fencing will fail, the basement will flood, the bunny will escape, the chickens will revolt and stop laying their eggs, the ducks will make off into the wild... you get the picture. I am not a pessimist by nature, but I have some little experience in these things. It is almost guaranteed. Things will grind along just fine, as long as we have nothing else on the agenda. But, the second we have plans... that is just asking for trouble. 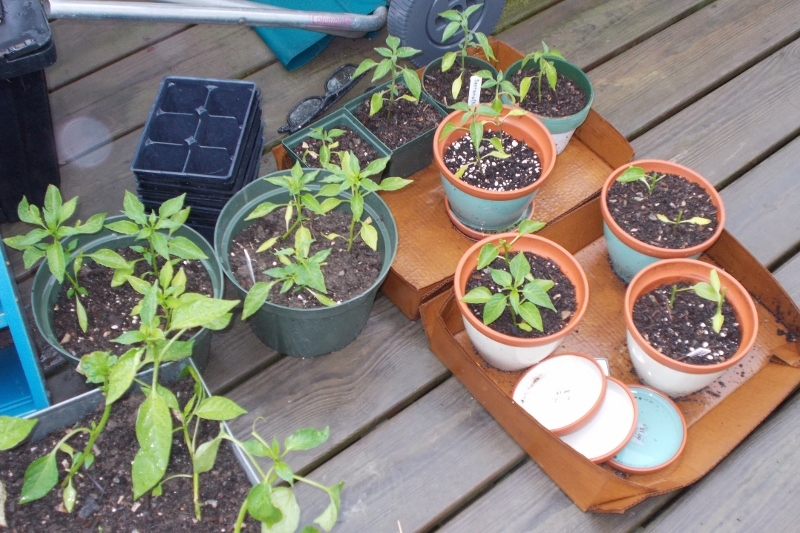 A sampling of the 36 sweet and hot peppers started and living on our porch. I was planning on updating you all to our gardening and how the water fowl residing in my living room are faring in great detail, but I still have to pack and get this show on the road. So, for now, I will leave you with some pictures with the hope that each of them speaks the 1,000 words they are rumored to and hope you all have a bright and sunny weekend. 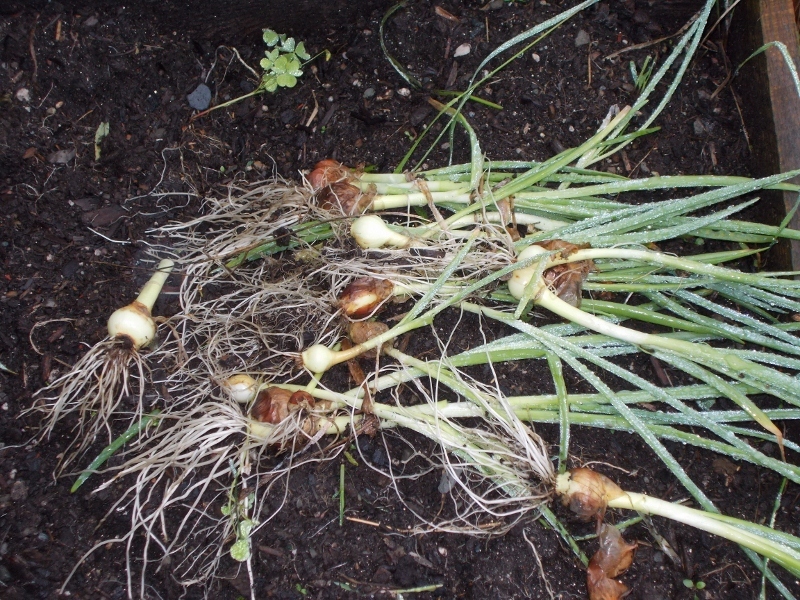 Last years onions wintered over in a garden bed. 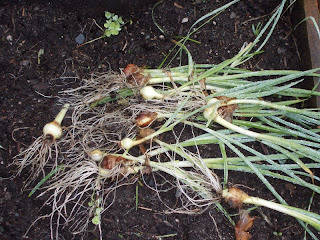 We'll eat the greens, since we have never had any success in growing the onions themselves to full size after a winter's rest. They will be delicious, though! 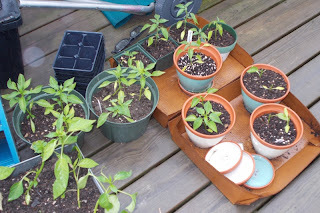 And, I might count this as our first harvest of 2012. 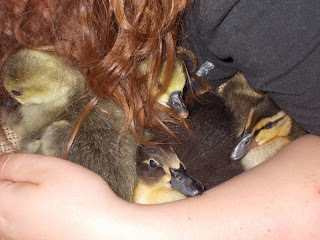 I was playing Momma duck/goose with the babies. They all snuggle into my arms and settle to sleep. I hope everything goes well while ya'll are gone. Enjoy all that spiritual food! !